Positioning itself as a leading European company in the IoT (Internet of Things) and Consumer Electronics, we strongly believe in interoperability between products from different manufacturers and with different applications. For more than 3 years now, we’ve been focusing on providing state of the art, innovative and high-tech products, to offer an interoperable Smart Home / Smart Building ecosystem, where all the devices can talk to each other, and work with each other. Our concern is to give the most seamless experience to the end user. To achieve this, our products work with the most common and famous wireless protocols an IoT platforms. This compatibility guarantees to our end-user a complete integration of NodOn® devices within existing market Smart Home / Smart Building solution. Check our compatibility lists on each product’s page, to make sure your future NodOn® product will be compatible. Beside our existing or in development products, NodOn® offers its expertise for ODM/OEM projects in all these wireless protocols and technologies to build the IoT product you always dreamed of. Our products are compatible with the most famous wireless protocols of the market , and then compatible with your Smart Home / Smart Building solutions. 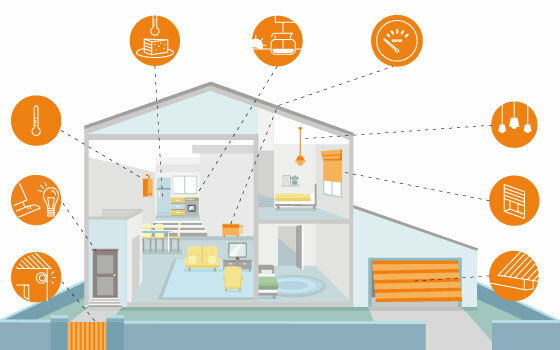 Whether your Home Automation system supports Z-Wave®, EnOcean® or you’re looking for a standalone solution to jump into the IoT, we have a product that will suit you. No matter you are a professional, a technology lover or a novice, NodOn® products are adapted to all kind of users and use cases. You owned multiple IoT / Smart Home products from different manufacturer, and you want them to talk to each other? We propose products compatible with IoT and Smart Home platforms, allowing you to build and run your favorite scenarios, whatever is the brand. The sky is the limit (Well, your imagination too…).